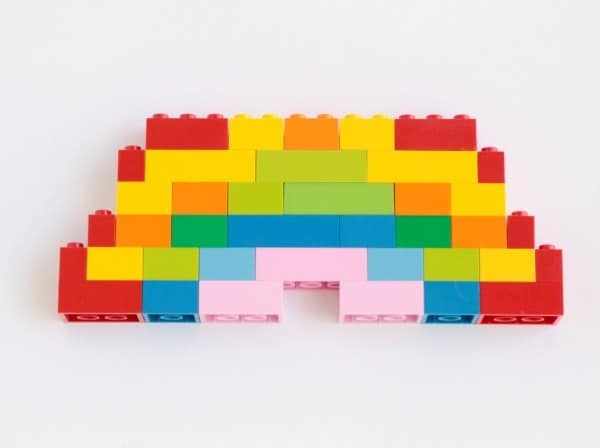 Inspired by LEGO Creations by Sara Dees, this LEGO rainbow can be made using bricks you already own! It’s harder than you think! LEGOs are one of our favorite toys. My kids love building and creating with LEGOs, but sometimes, they get a little stumped on what to create once they’ve made their original sets. 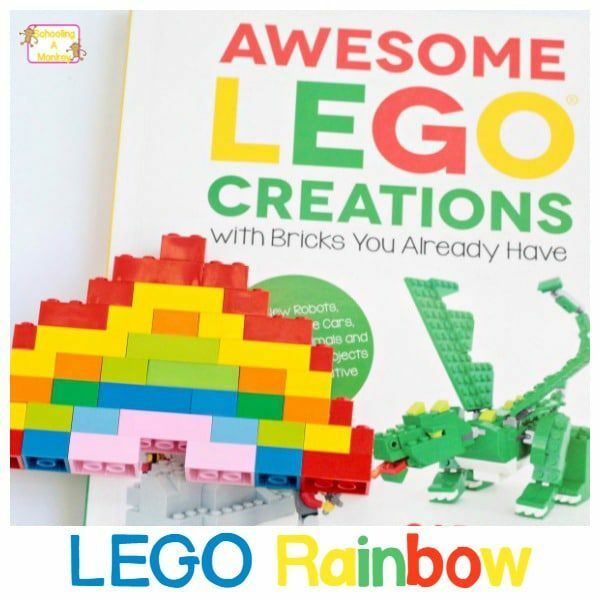 When we were given a copy of Awesome LEGO Creations (affiliate link), a whole new world was opened up to my kids. 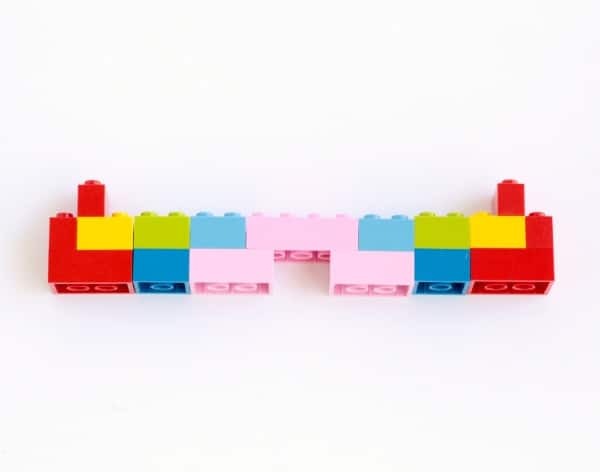 Not only did they have a blast trying to recreate the sets in the book, they were also inspired to make their own LEGO creations not in the book as part of an engineering activity for kids challenge. 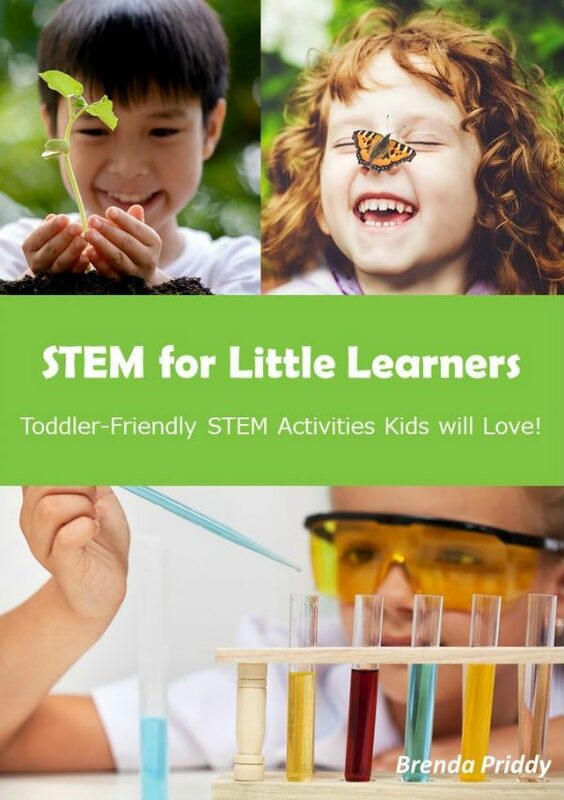 LEGOs make wonderful STEM activities tools. 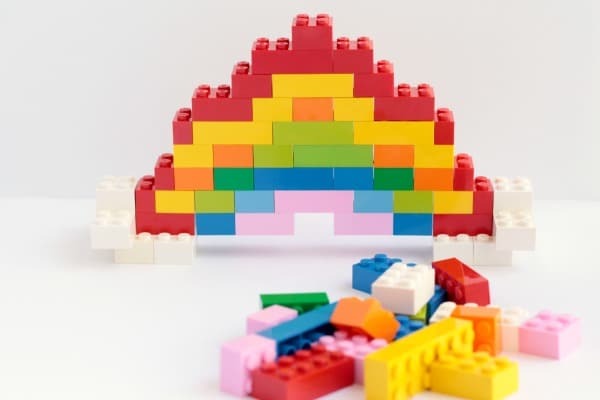 The first thing they thought to make was this fun LEGO rainbow! 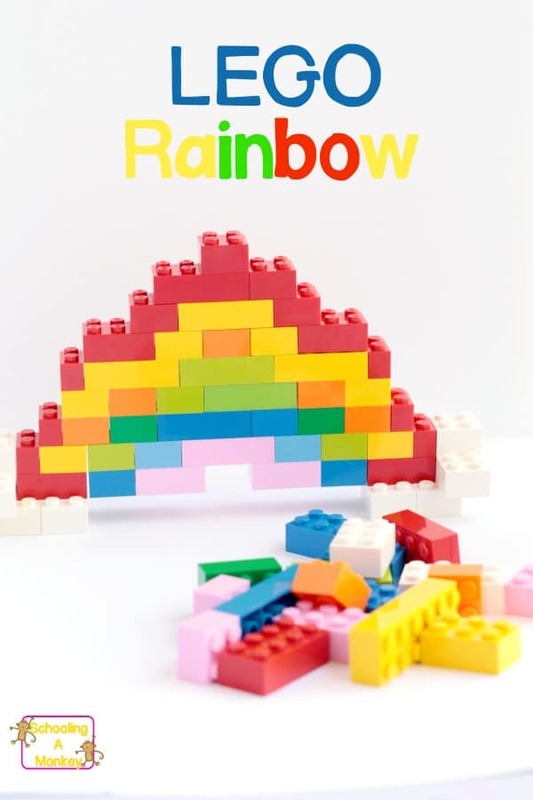 You think building a LEGO rainbow would be easy, but it isn’t! 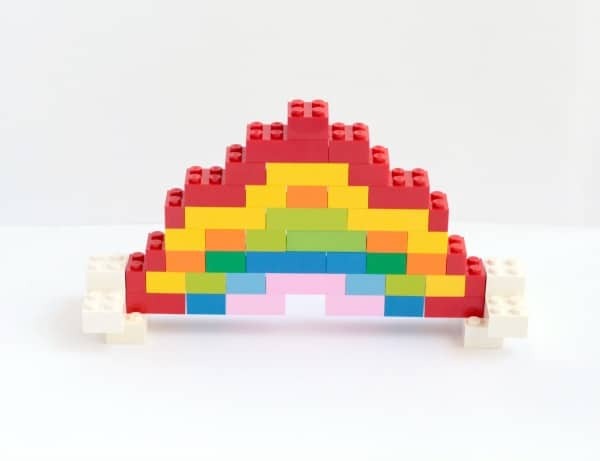 It took my girls quite some time to figure out what pieces they needed to use and how many of each piece they needed to use to make a rounded rainbow from LEGO. Their engineering brains were definitely stretched with this challenge! 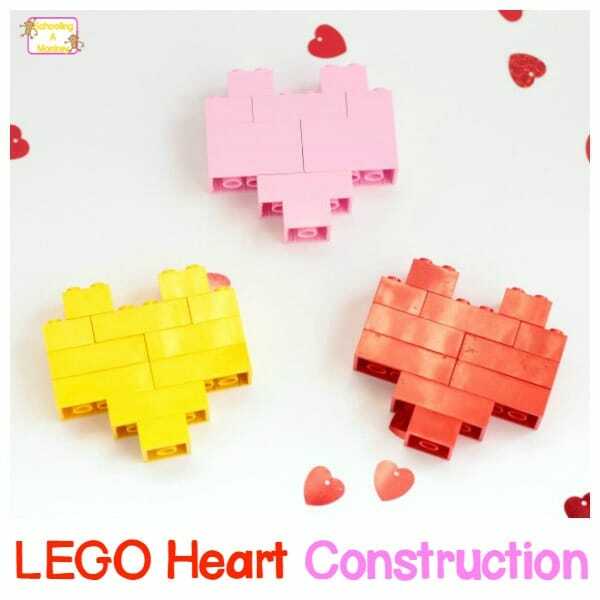 Red, orange, yellow, green, blue, and purple (or pink) LEGOs (we used the 2X pieces) A classic LEGO box will have everything you need. Right away, my girls realized they didn’t have as many orange bricks as the other colors. So their rainbow is a bit skimpy on orange. Because they were so short on orange, they decided to switch out where yellow and orange normally go, so instead of a ROYGBIV rainbow, they made a RYOGBP rainbow. They also realized we don’t really have any purple LEGOs in this shape! So they used pink instead. The girls found it was easiest if you start with the bottom of the rainbow and work your way up. If you want your rainbow to stand on its own, add some white clouds to support your rainbow!